Product #3031 | SKU SAMK10 | 4.0 (based on 1 rating) Thanks for your rating! 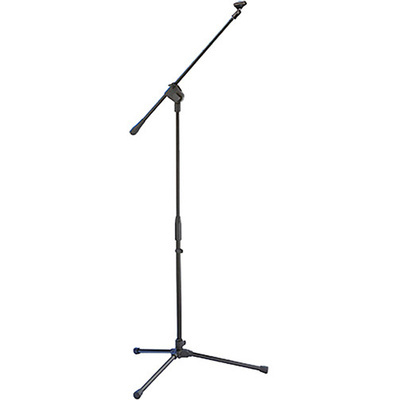 The Samson MK10 Lightweight Microphone Boom Microphone Stand combines the crucial elements of lightweight durability with an attractive and functional design. This collapsible tripod base boom stand folds up easily for transport anywhere you need it. It also features a roadworthy, steel-constructed design that offers superior resiliency with great flexibility of positioning. Its sleek black finish ensures an elegant, yet inconspicuous presence. Packaged with a standard mic clip, the MK10 is perfect for any microphone application, especially in live and studio settings.